Elle was spotted filming in New York City today with co-star Timothee Chalamet! She was wearing the same outfits she has worn all week, so this is when the image sets start getting super confusing. I’m hoping I didn’t mess them up! Anyway, the pictures are up in our gallery. Elle was photographed on the set of Woody Allen’s upcoming film earlier today! 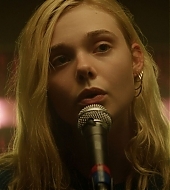 She was joined by co-star Timothée Chalamet. Our gallery has been updated with the images! Elle was sighted on the set of Woody Allen’s upcoming project earlier today, and the images have been added to our gallery. Hello! Our gallery has been updated with candids of Elle taken this week, both sets are of her out and about in New York City. Elle was sighted in New York City yesterday! The pics are up in our gallery. 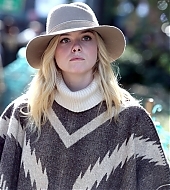 Elle was sighted on the set of Woody Allen’s next film in Manhattan, and our gallery has been updated with the images. Elle was photographed while walking in New York City, and the pictures have been added to our gallery. Thanks to my friend Sara, from aliciavikander.net, for sending them my way! Elle was photographed shopping in New York City yesterday! It looks like she might be staying in the city for a while, seeing as Woody Allen’s film is being shot there. Our gallery has been updated with the images. Elle was photographed arriving on set of Woody Allen’s upcoming project in New York City. She met actress Selena Gomez, who seems to have filmed a few scenes before her arrival, and they were pictured together. Our gallery has been updated with the images.